Brand mentions may be the hottest buzzword in digital marketing right now, but it is certainly not a new concept. Ever since the days of OOH and TV ads, brands have been actively monitoring different channels as a way to measure their value to customers. The only difference is that you now have more channels to monitor and more tools to use for monitoring. Monitoring brand mentions is a crucial part of digital marketing in general. More importantly, it is a way to keep track of your brand’s reputation and how customers interact with the brand itself. 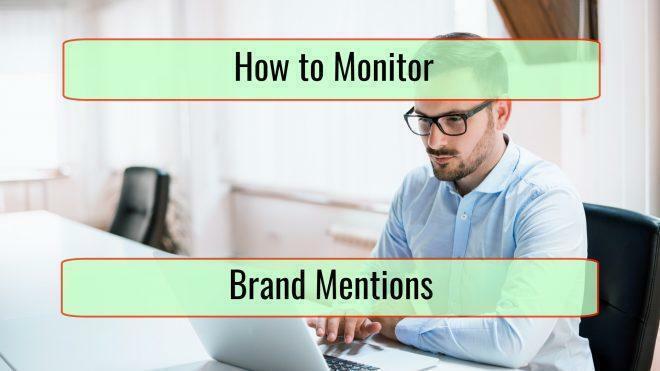 There are a lot of insights and benefits to be gained from monitoring brand mentions, but first, we are going to review how you can monitor brand mentions more easily. One of the most straightforward ways to monitor brand mentions is by setting up a Google alert. Google will alert you every time a new page or social media post that includes your brand gets indexed. While this is a good way to start monitoring brand mentions, it is far from being the most comprehensive one to use. 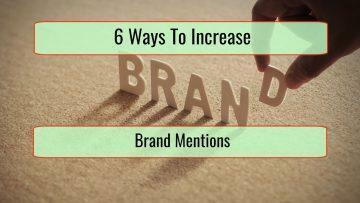 There are several tools you can use to monitor brand mentions. At the top of the list, we have Brand24. This is one of the most-used brand monitoring tools on the market right now, and it has gained its popularity by offering all the features you need. The free version of Brand24 lets you monitor multiple keywords and brands – including those of your competitors – through a simple user interface. After configuring the monitoring parameters, Brand24 will tap into various sources and begin tracking mentions of your brand. The results are displayed in an intuitive way for easy analysis. Speaking of sources, Brand24 can do more than just monitor one social media platform. It reviews posts on Twitter, Facebook, and other social media platforms, along with mentions of your brand in the news, blogs, and other sources. Mention is another tool worth trying. Similar to Brand24, you can track mentions on various platforms using Mention. You have to be clear about your tracking parameters, but the tracking tool will handle everything else for you. The free version of this service lets you track up to 500 mentions a month; upgrading to the premium version lets you expand your coverage substantially. Mention focuses more on social media platforms, but it also tracks mentions in online forums, blogs, and other publications. The user interface will remind you of social media platforms; the idea is to make Mention feel familiar and easy to use. Next, we have Mentionlytics. 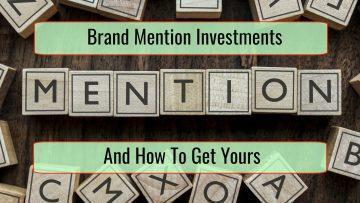 Mentionlytics, as the name suggests, put emphasis on the analysis part of brand mention tracking and monitoring. The UI is more visual than the other two, allowing you to see the bigger picture of your brand’s value at any time. Mentionlytics also does sentiment analysis relatively accurately. Using Mentionlytics feels like using Google Analytics. You have every feature you need to the left of the screen. Filters are available on the page directly and there are multiple customization options to utilize every step of the way. The tool lets you go deep into how you want to track brand mentions, including the sources you want to monitor, the languages to track, and in which countries you want the mentions to originate from. Mentionlytics also offer real-time email alerts, which is a handy feature to have in time of crisis. When dealing with a PR issue or when you want to be able to contain customer complaints effectively, for example, the alerts from Mentionlytics are incredibly handy. The tools we discussed earlier are designed to track brand mentions from various sources. They are tools that you can use to gain insights while keeping an eye on the bigger picture. Brand24, for instance, lets you do deep competitor analysis and see what the competitors are doing right to engage their audience. The insights you gather are useful in a competitive market like today. While these tools are exceptionally useful, they are not the only ones you can use to monitor your brand. For a more enterprise-grade set of tools, Brandwatch is a good solution to consider. Brandwatch is powerful in many ways. It is now tracking millions of sources across the internet, giving you a more comprehensive monitoring coverage as soon as you start using it. Brandwatch also offers insights that not many other tools have access too, including historic, locational, and contextual data of brand mentions. The features on Brandwatch are more geared towards reputation management, but that doesn’t mean you cannot use Brandwatch for digital marketing purposes. Most social media management tools have monitoring features you can use as well. Hootsuite includes tools for monitoring mentions and keywords across the supported social media. You may not be able to gain insights from blogs or news websites, but you can still monitor brand mentions on all social media platforms. Sprout Social also helps monitor your brand mentions on social media platforms. Similar to Hootsuite, the features and monitoring tools are meant to be used with social media platforms. That said, Sprout Social is more comprehensive when it comes to data analysis and advanced monitoring. You can configure your Sprout Social tools for specific purposes such as customer care and data intelligence. Why You Should Monitor Brand Mentions? Now that you know which tools to use, it is important that you understand why brand mention tracking is essential. There are many specific reasons why monitoring brand mentions is rewarding. Reputation management sits at the top of that list. By tracking brand mentions, you can catch negative sentiments early and react sooner, allowing for the value of the brand to be maintained. There are also benefits, such as being able to do online customer care, having the ability to listen to customers and what they want, and gaining insights on the kind of content that works well with the audience in general. The possibilities are even more exciting when you consider how quickly the tools that we discussed in this article add new and more advanced features to their platforms. Leave a comment down below if you want to learn more about the specific benefits of tracking brand mentions and how to use the insights you gather from this process, and we’ll discuss them in another article.